Ahhh, the weather is fine and the pleasures are simple. Peanut's First Birthday is rapidly approaching. His party is a Peter Rabbit theme, (its all about the theme, you know) so this Mimi is smocking Gwen Milner's revised Peter Cottontail from Sew Beautiful Issue #152. I have stitched her original a few times before. Posted here and here. I have been smocking on our screened in back porch. Delightful. That with a cup of tea and I am a happy camper. I have always loved Peter Rabbit, I had wanted to decorate my oldest child's nursery with Peter Rabbit. The best I could do was a Peter Rabbit Baby Book. Fabrics and home decor items weren't as prevalent then as they are now. I had the good fortune to "shop" in a designer's showroom a few months back. The kind open only "to the trade". They had an embroidered fabric for home dec at almost $200/yard. Peter Rabbit and all of his friends embroidered on silk. I lusted. Badly. My friend slapped me away before I could make a foolish purchase. I searched high and low of a picture of it to share, it is not to be found with my meager resources. Not being "the trade" and all. Isn't this cake beautiful? You would almost be sad to cut it. 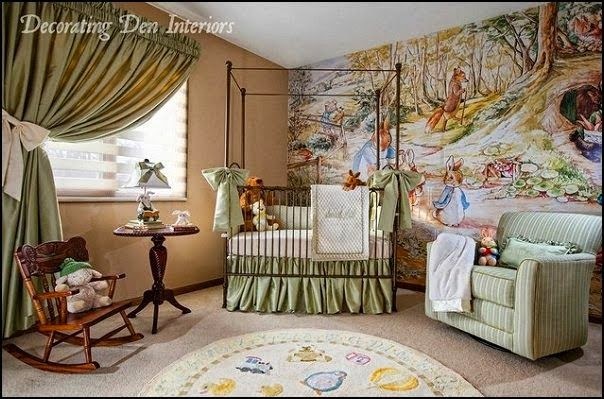 And wouldn't I have loved this Peter Rabbit nursery! Pinterest is a wonderful and evil thing all at once. It makes you think you can do anything. So back to the task at hand, only one more bunny to stitch. Portraits are next Saturday. Time is a wastin'! When my daughter was born, almost 32 years ago this month, her nursery had wallpaper with the Beatrix Potter book covers in a sweet teal blue (just like the books). When she turned out to be a girl, we added pink accents to the room. She had BP ceramic figures and pillows and stuffed animals too. I wish I had a decent picture to share, but we used a Polaroid back then and I doubt there's a good one left. 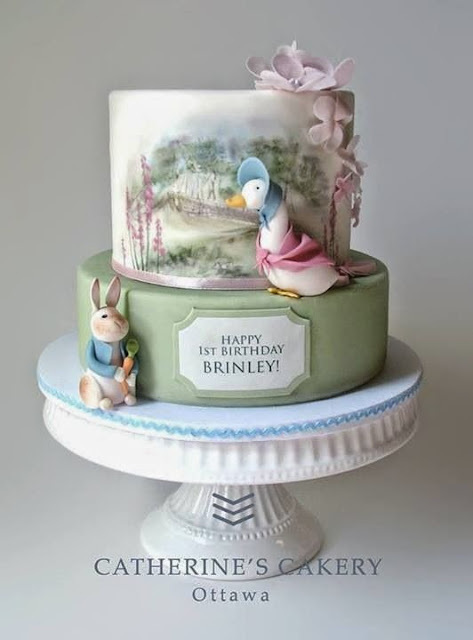 Love the idea of the Peter Rabbit party. My granddaughter's first birthday party three weeks ago had a pink lemonade theme. She wore a smocked yellow seersucker sunsuit with pink lemons. 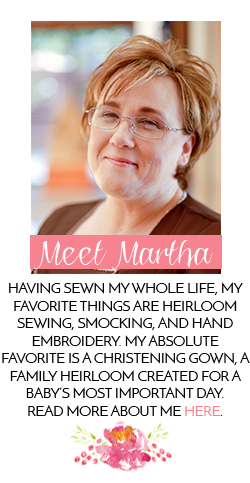 If you Google Peter Rabbit fabrics you will see that it is a popular quilting design lately. There is a tonne of stuff just waiting for an indulgent Mimi to buy. I had some toile fabric in the most heavenly pink imaginable. A friend ordered a dress for her six year old granddaughter (whom I have never met) and the dress turned out to be gorgeous. The only problem was that the little girl turned up her nose and said it looked like children long ago would have worn it. Fortunately, her cousin (about the same age) loved it and everybody's happy!!! There's no accounting for taste! Go figure. Timeless design! What is the stitch you used to back smock this piece? The pleats show little distortion if any. 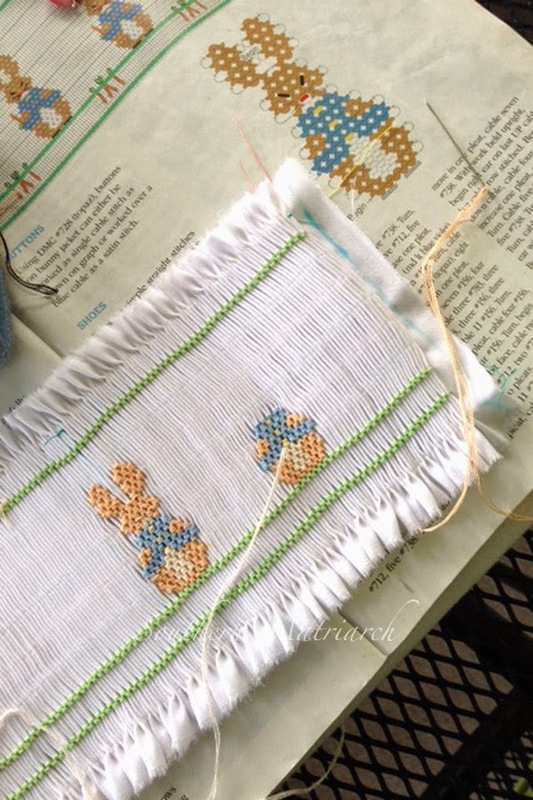 This article by Debbie Glenn, advised instead of starting each backsmocking row with an alternating up or down cable, to start each one with an up cable. Which is what I did and by golly, it worked! Much more stable piece without the resulting ripples. Who knew?